Leilabadi-Asl, A., Divsalar, A., Saboury, A., Parivar, K. (2018). Comparing the Interactions and Structural Changes in Milk Carrier Protein of -Lactoglobulin upon Binding of 5-Fluorouracil and Oxali-palladium. Biomacromolecular Journal, 4(1), 28-34. Amineh Leilabadi-Asl; Adeleh Divsalar; Ali Akbar Saboury; Kazem Parivar. "Comparing the Interactions and Structural Changes in Milk Carrier Protein of -Lactoglobulin upon Binding of 5-Fluorouracil and Oxali-palladium". 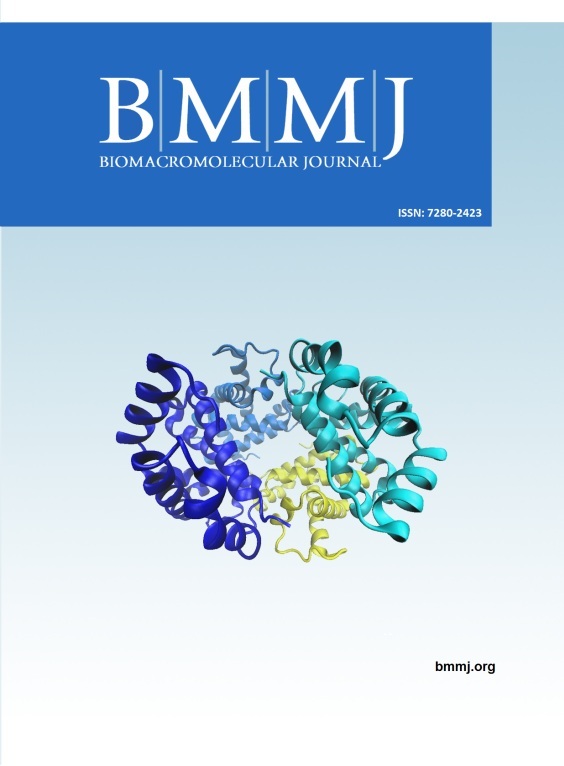 Biomacromolecular Journal, 4, 1, 2018, 28-34. Leilabadi-Asl, A., Divsalar, A., Saboury, A., Parivar, K. (2018). 'Comparing the Interactions and Structural Changes in Milk Carrier Protein of -Lactoglobulin upon Binding of 5-Fluorouracil and Oxali-palladium', Biomacromolecular Journal, 4(1), pp. 28-34. 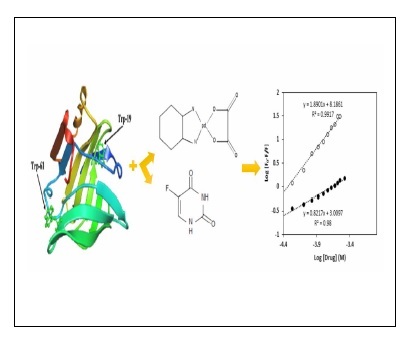 Leilabadi-Asl, A., Divsalar, A., Saboury, A., Parivar, K. Comparing the Interactions and Structural Changes in Milk Carrier Protein of -Lactoglobulin upon Binding of 5-Fluorouracil and Oxali-palladium. Biomacromolecular Journal, 2018; 4(1): 28-34.
β-lactoglobulin (β-LG) is the major protein in the whey of ruminant milk and it can be used as a carrier for anticancer drugs. In this study, the comparison interaction of two chemotherapeutic anti-cancer drugs of 5-Fluorouracil and oxali-palladium with milk carrier protein of β-LG was investigated using fluorescence spectroscopy. The analysis of fluorescence spectra showed that the addition of the 5-Fluorouracil and oxali-palladium to β-LG solution led to a significant reduction in the intrinsic fluorescence spectra of protein and then quenched it. The binding sites and thermodynamic parameters of 5-Fluorouracil and oxali-palladium on the protein were calculated by analyzing of van’t Hoff equation at different temperatures. Binding results have represented that there are 2 and 1binding sites on β-LG for binding of 5-Fluorouracil and oxali-palladium at physiological temperature, respectively. According to the results, van der Waals and hydrogen bonding have the main role of the interactions of β-LG with oxali-palladium, while electrostatic interactions have a major role in the interaction of β-LG with 5-Fluorouracil. Finally, regard to the above results, it can be concluded that the anticancer drugs of 5-Fluorouracil and oxali-palladium can bind to the carrier protein of β-LG and changed the structure of it differently.